Every now and then, you can see a clear pattern in fashion trends. We’ve had the ‘denim days'(Justin and Britney 2001, anyone?) and the ‘Go big or go home’- years (also known as ‘the oversized eighties’. This year, it seems like animals are all the rage. You can’t walk five steps on your average shopping street, without spotting tons of leopard- and/or snakeprints alongside some(faux)fur. It has taken me a few years to get used to both phenomenons. I associated animal prints with trashy, rather than classy. That is until I became smitten with a gorgeous leopard print t-shirt at Mango back in 2013. I bought it, wore it a million times and have never looked back since. 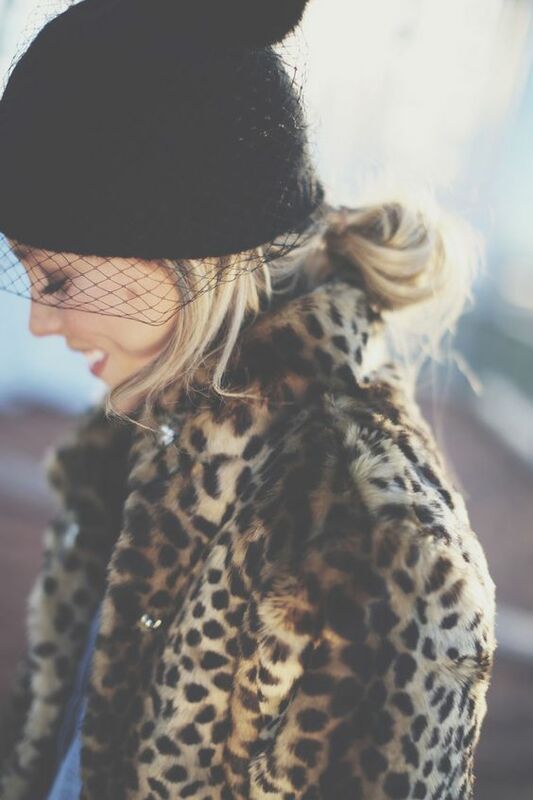 It has come to the point where I see leopard print and fur as classics, rather than extravagant seasonal extras. You can imagine the spring in my step when I noticed this year’s trends in the shopping windows. I have already dug out my 2013 leopard shirt (still as good as new, kudo’s to you guys at Mango) and leopard print faux fur coat. However, I couldn’t resist the urge to add some new trendy items to my wardrobe (I would lie if I said my first paycheck wasn’t a factor in that urge). I already owned the perfect leopard coat, but since this afternoon, I also own a slightly more subtle furry friend. My apologies for the boring stock photo, but my bedroom at 0:42 in the evening isn’t exactly phohoshoot material. Don’t worry though, a proper outfit post is on it’s way. I found this gem at JBC thanks to Anne and Dunja, who knew I was looking for one of these and kindly pointed this one out for me. JBC is one of those stores I always visit, but where I rarely ever buy anything. Insert the advantage of shopping with fashionable friends who point out pieces that I probably would have overlooked myself. Have you scored an animal printed piece yet? Let me know in the comments! If you want to keep up with everything I do, you can follow me on bloglovin’. SHARE THE LOVE!! Wil jij echt helemaal up-to-date blijven met alles wat er hier gebeurt? Volg me dan op Bloglovin! I am a bag hoarder. I buy way more bags than I can actually afford and I switch them out probably more than I should. There is, however, one bag that I have been loving a whole lot these past few weeks and that’s this cheap little thing from Primark. It was only 12 euros, but it’s just… drop dead gorgeous! If there would be an award for “cutest handbag”…. Ik ben een tassenverzamelaar. Ik koop veel meer tassen dan ik me eigenlijk kan veroorloven en ik verwissel dan ook met de regelmaat van de klok van tas. Er is echter één tas waarvan ik de voorbije weken wel heel erg veel ben gaan houden. Dit goedkope dingetje van Primark kostte me slechts een euro of twaalf maar hij is gewoon… ZO mooi! Als er een award voor “schattigste tas” zou bestaan… ik zou het wel weten!